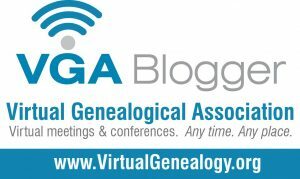 As part of this month’s theme for the Genealogy Blog Party ‘The Strong Will Survive!’ I am highlighting my Grandfather as someone I believe was strong both emotionally and physically. He survived not only a war but a situation at home, happening at the same time, which was incredibly emotionally stressful for him. Read on and see why I think he qualifies as a man of great courage and integrity. I’ve always been fascinated with this postcard that my Grandfather, Harold James Davis, had made in Cairo, Egypt. He never sent it (there is no writing on the back) but from what we can gather brought it home to South Africa to give to his only daughter. Harold James Davis (1908-1967) was stationed in Egypt with the 1st Hygiene Company of the South African Medical Corp from November 1941 to April 1944 and transferred to the United Defense Force Admin HQ in Cairo, Egypt from March 1944 to November 1944. Obviously he carried with him a photograph of the young daughter he had left behind in South Africa, enabling him to have the postcard made. It was during this time serving in Egypt that my grandfather would have heard that his wife, my grandmother, Hazel Jane Keown, had abandoned their young daughter. Perhaps tired of life as the wife of a military man (Harold had been an Army man since July of 1929) Hazel Jane Keown had left their 4-year-old daughter and disappeared. Harold returned to South Africa in November 1944 where he sued for divorce and sole custody of his daughter. Harold James Davis (1908-1967) taken in Cairo, Egypt between 1941 and 1944. It must have been difficult to be in the middle of a war and to be worrying about his young daughter. I like to think that the photograph of her he carried, and the postcard he had made, helped him to feel closer to her. Harold James Davis and his baby girl. What a sad story, Sue! Based on what you wrote, I’m guessing that he raised your mother in South Africa after that? Did he remarry or have other children? My grandfather, Harold James Davis, was born in South Africa as was my mother. Once my grandfather returned from the war, he raised my mother as a single father. He never remarried and never had any other children. Oh wow, he sounds like a stand up kinda guy. Did you know him? Sadly, no. He died two years before I was born. My older brothers knew him and said he was quite strict (he was a military man most of his life) but always fair. blogger. I have joined your rss feed and look forward to looking for extra of your magnificent post. Sue, you told this story with integrity, for sure it must be hard not to judge your grandmother, and yet you didn’t in this post. Thank you, Valarie. It is a sensitive subject, especially for my Mom, and I do try to not make any judgments on how my grandmother lived her life. It is just sad that she never knew her daughter or her grandchildren. How awful to be away serving in the military and his wife abandoned their young daughter! I can’t imagine how much he worried about her while away. What a poignant story and tragic start in life for Harold’s little daughter, to be abandoned by her mother. The postcard and photograph are testimony to a happier life for her. Wow! Being so very far from home must have been incredibly stressful, knowing that the little girl he obviously loved so much was alone. I agree Linda, so stressful! I wish I could have asked him about this whole experience but he passed away before I was born. Thanks for the comment! Very interesting to read our Grandad was first assigned to 1st Hygiene Company of the South African Medical Corp!